They say riding a bike is easy, once you learn you never forget. That may be true but when does riding a bike become a huge challenge? When you plan to cycle from England to Germany. Yes, that should do it. Jonjo Rooney, founder of Bpositive, an amazing charity that aims to help people affected by Acute Leukaemia is planning to do just this. Jonjo was diagnosed with Acute lymphoblastic leukaemia in December 2006 and his prognosis at the time was considered quite poor. He underwent many months of powerful treatment including chemotherapy and radiotherapy before receiving a bone marrow transplant from an unrelated donor at Birmingham's Queen Elizabeth Hospital in July 2007. The donor's bone marrow who saved Jonjo's life was flown in all the way from a small place called Hamelin in Germany, more famous for its Pied Piper than its life saving hero. This unrelated donor was unaware at the time of the nature of the miracle he was performing. Saving the life of a 23 year old British man whom he had never met. Jonjo responded well to his transplant and began to recover well. His new bone marrow began to take over his body and help him begin to get his life back, a new life some might say; a second chance. 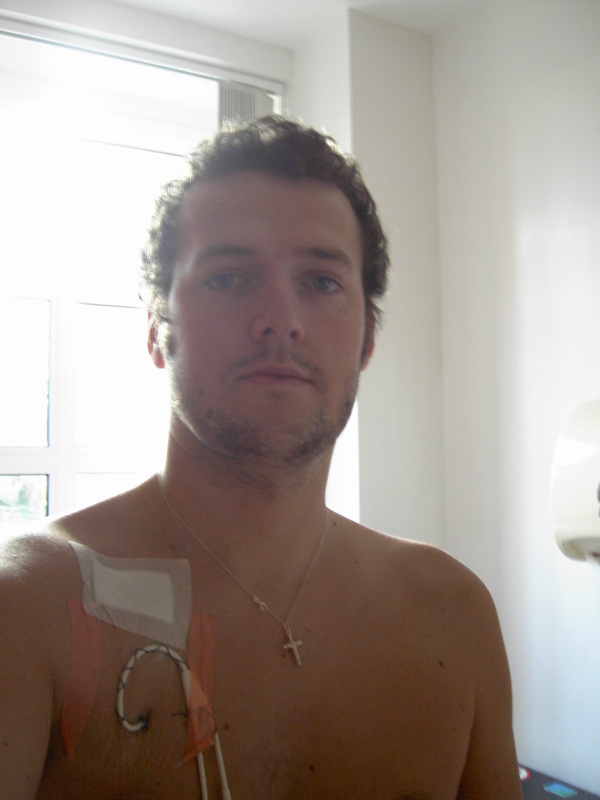 Jonjo kept journals throughout his treatment and often referred to his donor in this. He spent many hours wondering about the man who provided him with this chance at living life to the full and wrote to him in Germany when he was allowed. As Jonjo began to recover his zest for life which had always been there, but had to be put on hold for a while, returned with a vengeance. He began talking about his next challenge and where he was going to go and what he was going to attempt to do. This included cycling miles and miles to raise money for Leukaemia & Lymphoma Research and taking part in the Great north Run too. Jonjo had always had a passion for sport but everyone was amazed by his dedication and determination post transplant for getting back in the saddle, so to speak! He then proceeded to train for and complete the London Marathon, not once but twice in order to raise much needed funds for the charity whose research and funds had been the greatest factor in him still being here. He dedicated his London Marathon challenge to the donor who saved him having his shirt emblazoned with the words "Dedicated to my donor." A great talking point for other runners and the crowds who were in awe of this man who was taking part in this challenge in the aftermath of this terrible battle he had had to endure. Jonjo will always be eternally grateful for the work of LLR and Anthony Nolan who found him his donor when no match was found amongst his own siblings. Two of Jonjo's friends ran the London Marathon for Anthony Nolan too in appreciation of their work. Jonjo took his campaign to raise money and awareness further, visiting local high schools and colleges around the country and taking to them about the importance of registering as a bone marrow donor and dispelling the myths that have long since surrounded the notion; that it might be painful or cause them any harm. Jonjo has an affinity with people, his personality is infectious and people he meets are always amazed by his spirit and passion. This is true of his presentations and speeches to these young men and women who were touched by his story. His own family learnt so much from him and all became potential donors in light of this. One of Jonjo's cousins has since been called as a match for his bone marrow and donated to a little girl, without whom would possibly not be here today. This brings us to the birth of Bpositive, a fledgling charity which has been many years in the pipeline. 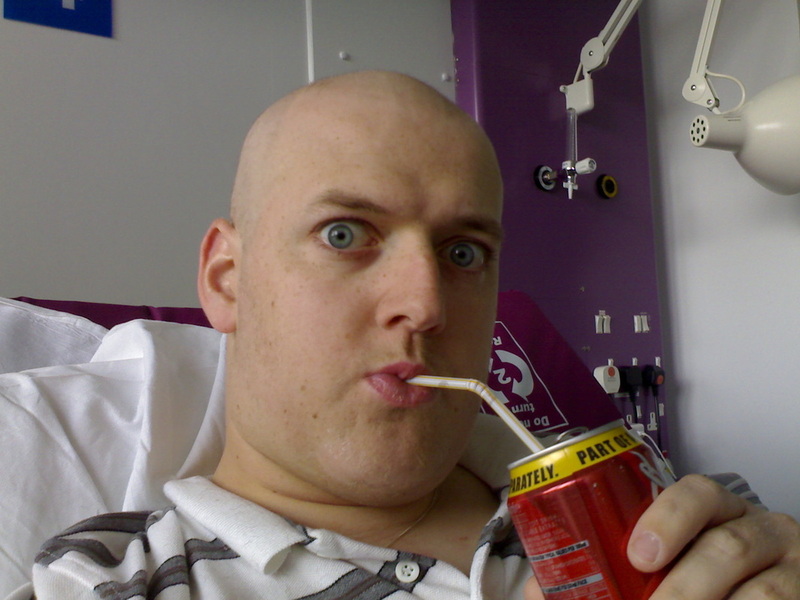 When Jonjo was first diagnosed, his sister Anna-Marie recalls him asking her for a few things in hospital; orange squash as the water tasted warm, grapes and a notebook and pen! The day that he began his treatment his journal also began. Not a day went by, even days that he didn't want or wasn't able to talk to people, that he didn't write a true account of his feelings (and a complete roller coaster of these there were!) and document things that had happened that day. Every milestone and set back, every laugh and tear, every bit of aggression and calm was written down. At the end of each day his sister recalls he would sign off with what has now become synonymous with everything Jonjo does; Bpositive. 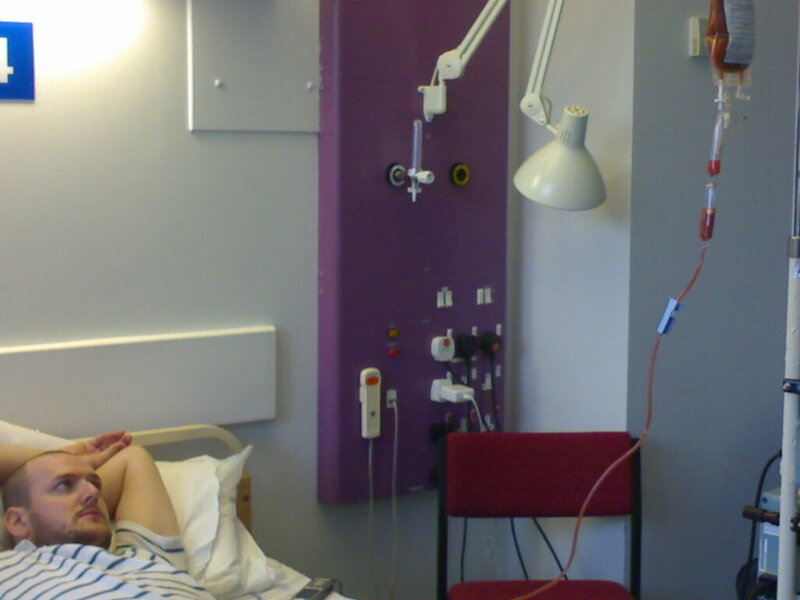 This was Jonjo's blood group and he used to see it as a sign, even in those bleak moments, hooked up to drips that ran saline fluids, or chemotherapy or antibiotics through his body twenty four hours a day, that the label which identified his blood group that was plastered across it; Bpositive, was a sign to him to remain that way. Anyone who knows Jonjo always says how amazed they are by his spirit and positivity and overwhelmingly his sense of humour he has become quite famous for. He used to tell people he was going to get through that terrible illness and help people who might be where he has been one day, he was going to be there to answer the questions, however random or seemingly difficult to answer, he was going to be there to give his account of how he coped; things he wished someone had been able to do for him. Hence...now...7 years post transplant, the birth of the official Bpositive website, which is currently at the stage of gaining officially recognised charitable status. An exciting time for Jonjo and those closest to him who have seen this charity living through him since December 2006, and now becoming real. Jonjo has hosted music festivals, charity bake offs and cake sales already raising much needed cash to help further the research that one day, will inevitably beat these terrible diseases. This is only the beginning though. His next huge event will see him ride from Birmingham in England, the place that he had his life-saving bone marrow transplant to Hamelin in Germany where his unrelated, life-saving donor was from. It is a feat that will take him 500 miles across many different terrains in several different weathers no doubt. 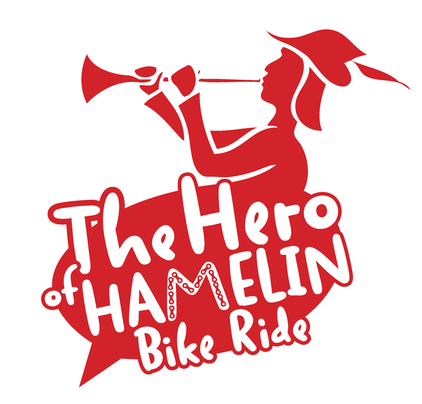 The aim is two fold; one, to raise money for the cause and two, a personal challenge for Jonjo who is always looking for the next thrill seeking challenge. And who knows, there might even be a person in Germany who hears about this challenge that actually played the most vital part in this challenge, donating his bone marrow to save this inspirational young man and allowing the birth of this wonderful charity, Bpositive.